A wonderful read. Bella James has created a very realistic protagonist in Anna – she’s a complicated and yet sympathetic character. She faces huge challenges and has a few personal issues to deal with. Great use of dialogue to create tension and depth of character. The novel contains a few surprises and goes in directions you might not expect – and that’s a good thing. The themes are handled sensitively and overall the novel is uplifting. ‘The Girl Who Cried Wolf’ examines what it means to be alive, and as one character says: “The road is more difficult for some, but that does not make it less extraordinary or beautiful or worthwhile’. FALCO is the sequel to PICA, further exploring the ancient magic of nature in a contemporary setting. As Luke continues to develop his skills as Felis, he finds himself hunting, surviving and using feline instincts, as well as fine-tuning his powers over nature, becoming more powerful than he’d ever dreamed. However, Luke’s parents find him tearing away and struggle to understand how their son is changing so much – not realising the true extent of it. When a new transformation forces him to leave, he flies across the world and learns how to survive, meeting others who share his powers which opens up a new world to Luke, one he must learn to co-exist alongside. 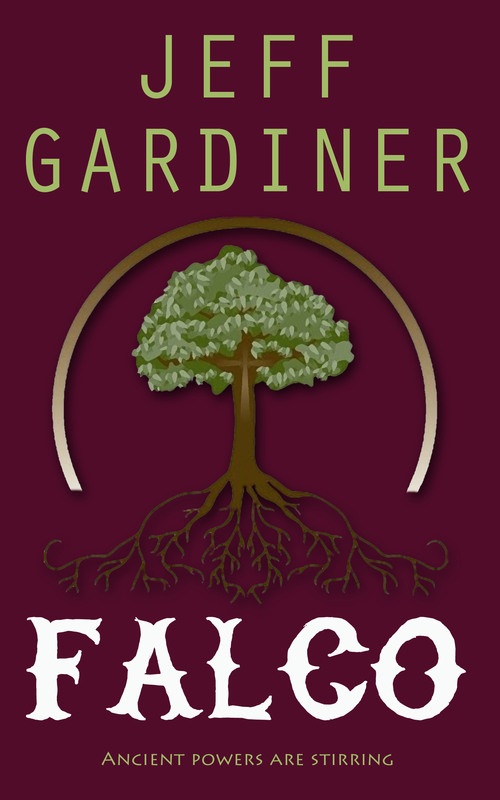 FALCO is the second book in my ‘Gaia’ fantasy series, exploring the magic of the natural world. It is due out in November from Accent Press. 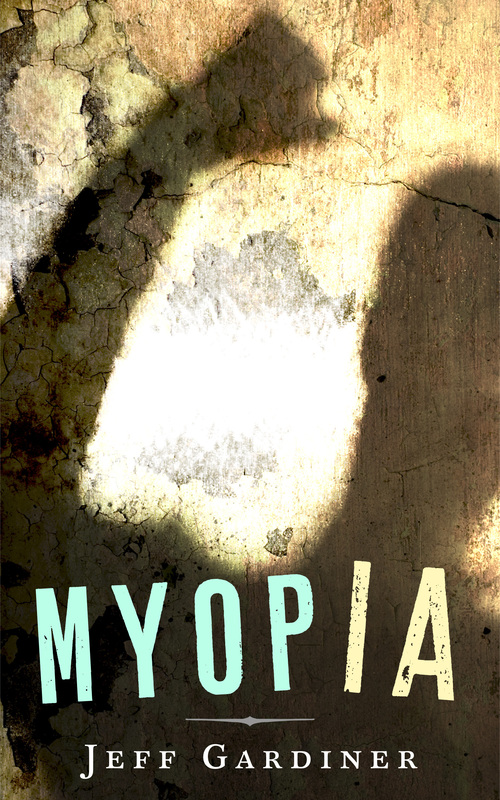 MYOPIA is my YA novel exploring the effects of bullying and how a victim responds with creative non-violence. It is dedicated to anyone who’s been on the wrong side of bullying. Being a victim is never your fault. The problem is with the bully NOT you. Stand strong and always believe in your individuality. The shadow and background represent the sinister nature of bullying, but the clenched fist also suggests a triumphant gesture of victory over adversity. 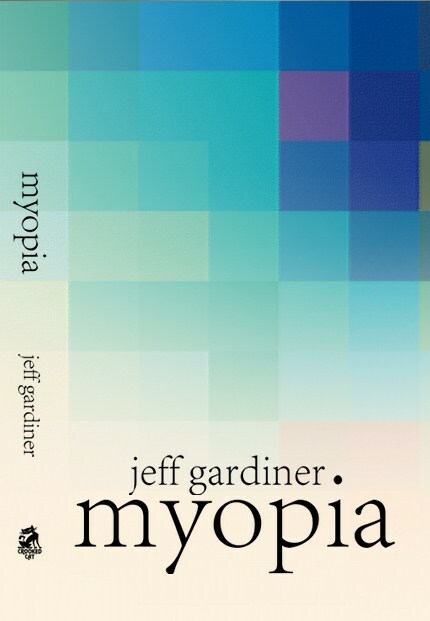 The old cover presented an abstract section of an eye, to fit in with the title and theme of short-sightedness. Its pixilated nature shows the blur of myopic vision. Now the new cover gives a stronger indication of the drama, angst and struggle confronteded by Jerry and other characters in the novel. As well as a new cover, the text has been edited and revised into a fresh edition. If you know any teens or young adults looking for a great read then click on one of these links. The Dragon of Krakow is a famous dragon from Polish folklore. He lived in a cave in Wawel Hill, on the banks of the River Vistula, and spent most of his time terrorising the population of Krakow. The cave, located underneath Wawel Castle and Cathedral, is now free of the dragon and has become a popular tourist destination. A metal dragon can be found outside the cave, breathing fire every few minutes. Stories about the Dragon of Krakow have been told since at least the 12th century, and as with most stories of that age that are many different versions. All of the ones I have found end with the dragon being destroyed; sometimes slain by a prince, but more often poisoned by a tailor or shoemaker using a sheep stuffed with sulphur. The Dragon of Krakow was one of the inspirations for Indigo’s Dragon. I took the story and thought what if …? I expanded it, weaved in other threads, and twisted it into another tale. Like living things stories often grow, evolve and reproduce, and I hope by borrowing and changing the story of the Dragon of Krakow I have not done it an injustice, but helped to keep it alive. ‘The dragon?’ Indigo sat next to her, and she continued. ‘Orava killed Smok?’ Indigo felt a pang of grief. He had thought Smok was alive – Omi kept pointing to the sky and saying his name, as if she were waiting for him. ‘Boom,’ Indigo whispered, remembering the picture on the side of Opi’s book. ‘Indigo’s Dragon’ (Indigo’s Dragon #1) by Sofi Croft is a children’s fantasy novel full of adventure, mystery, monsters and dragons. 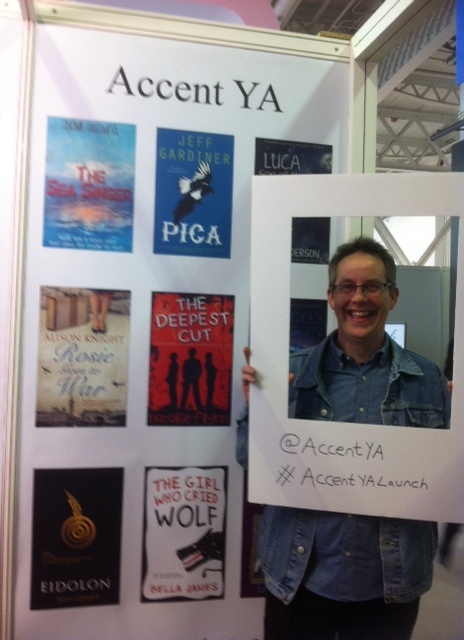 On Tuesday 12th April 2016, Accent Press launched their YA novels at The London Book Fair – including my own YA fantasy, PICA. The London Book Fair – held at Olympia – is an incredibly overwhelming experience. I wandered around for two hours and didn’t see it all. But I was lucky enough to hear author Peter James talk about research and plotting over at Author HQ. Accent Press had their own stall showing their fantastic array of titles with beautiful covers. At 4pm, AccentYA was officially launched with an annoncement, plus drinks and nibbles. It was a great opportunity to meet the Accent team, fellow authors, plus sellers and others in the book trade. Some were lucky enough to take away a bag of goodies. We were all well looked after by the incredibly friendly Accent Team, and treated to a delicious meal in Notting Hill. It was an exciting and fascinating day. Leonardo DiCaprio deservedly won the oscar for epic film ‘The Revenant’. Collecting his award he said a few things about the environment. “Climate change is real… it is the most urgent threat facing our entire species”. “Let us not take this planet for granted”. 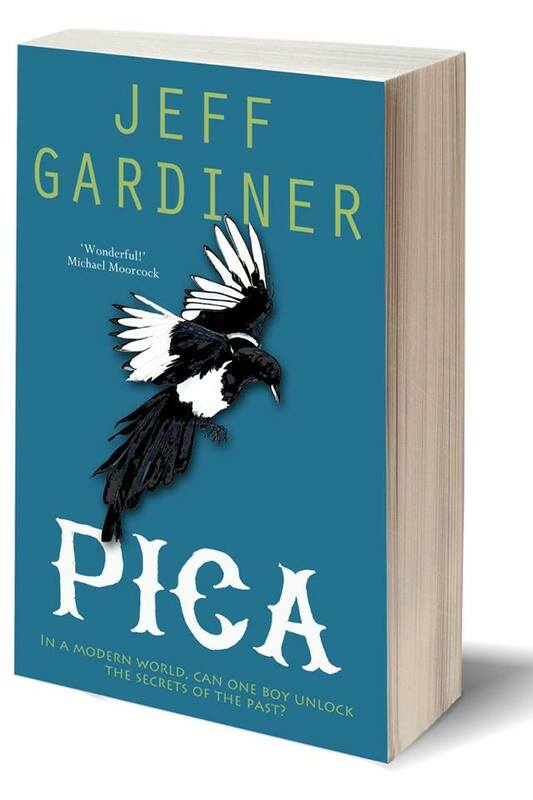 Like ‘The Revenant’ my novel, PICA, explores our relationship with the natural world. Luke is challenged to find a way to save our dying planet, and with the help of his enigmatic friend, Guy, he begins to uncover some of the secrets and ancient magic of nature. Pollution, deforestation, garbage, over-population and our obsession with consumerism are some of the ways we are killing mother earth. Doing the recycling and not using plastic bags is great, but how can we stop the horror on a global scale? 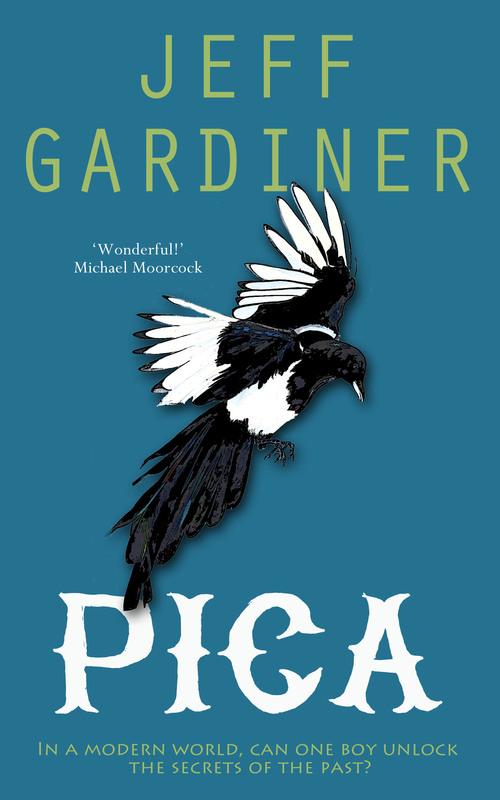 PICA is a novel set in the modern day, that explores ancient magic and our relationship with the natural world. Luke hates nature, preferring the excitement of computer games to dull walks in the countryside, but his view of the world around him drastically begins to change when enigmatic loner, Guy, shows him some of the secrets that the very planet itself appears to be hiding from modern society. Hidden behind the everyday screen of school and family life, Luke tumbles into a fascinating world of magic and fantasy, where transformations and shifting identities become second nature. ‘PICA’ – book 1 in the Gaia Trilogy – will be published in March 2016 by Accent Press. I can now finally reveal the fantastic cover. Pica Pica is the Latin name for magpie. The novel is set in the modern day exploring the awakening of ancient magic and our relationship with nature. And … yes, that is a cover quote from the great Michael Moorcock!